Legendary Rock Band glory for 3-6 players! 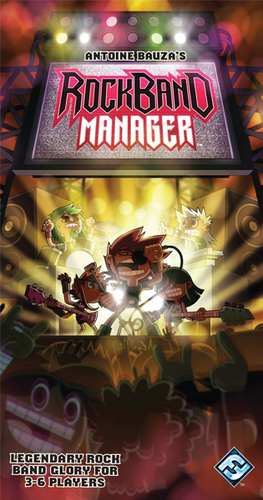 Rock Band Manager is a card game where players take the role of band managers trying to take their bands to rock stardom. The manager who hires the best musicians, books the biggest gigs, and cuts the highest selling album wins the game. There are many paths to glory in this game so players will have to develop their own strategies in order to be successful - - collect new gear for your band to help establish them as rock powerhouses; throw a cheap shot at your rival managers in an effort to get ahead; establish connections to industry insiders to ensure your band's success. Rock Band Manager is a fast-paced game where anything goes, and only one band can become rock legend. Back in stock is Pandemic, a co-operative game. Players are highly skilled members of a disease-fighting team waging a battle against four deadly diseases. They will travel across the globe, stemming the tide of infection and developing the resources needed to discover the cures. 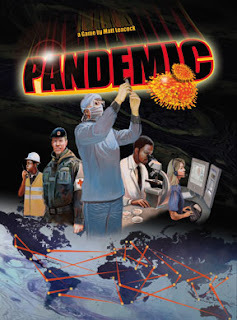 Players must work together, using their individual strengths to destroy the diseases before they overtake the world. The clock is ticking as outbreaks and epidemics accelerate the speed of the plague. Will you find the cures in time? The fate of humanity is in your hands! 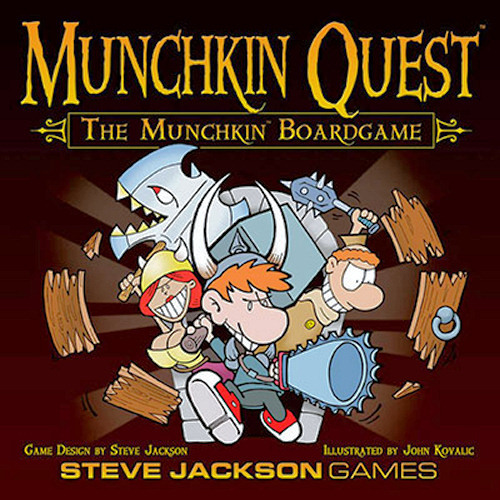 Also, back in stock is the Steve Jackson Games, Munchkin Quest, the Munchkin board game. Kill the monsters, grab the treasure, stab your buddy. That what it's all about. 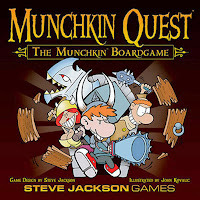 Cooperate with your fellow munchkins to destroy the big monsters and split their stuff... or go your own way and keep all the loot. When you open the door, you add a new room to the dungeon, and you meet a new monster. It could be the Plotted Plant - or the Plutonium Dragon! Kill them or run away, but beware - the monsters can move too, and they may come after you!